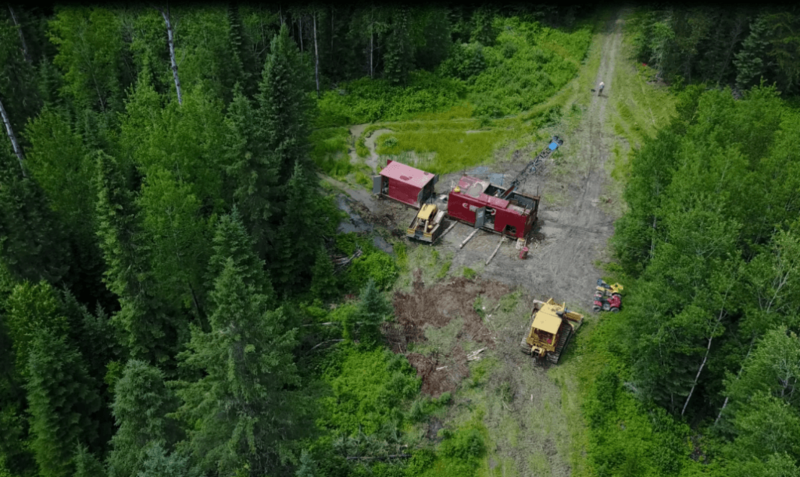 This week Liam speaks to CEO and President of Great Bear Resources Chris Taylor about the history and future of their Red Lake gold project in Ontario, Canada. Join us at our Soundcloud Channel and soon via Spotify and ITunes to hear about awesome emerging projects around the world. If you can’t listen to the podcast right now, our friend Sara Kurt has kindly gone and transcribed it for you! We hope you enjoy and look forward to crossing paths again soon. Liam Hardy: Good morning everybody. Thank you very much for joining us here at the podcast, our second edition of the podcast. I’m Liam Hardy and today, I’m joined by Chris Taylor, the CEO and president of Great Bear resources, who have a high-grade gold project in Red Lake Ontario, how you doing stay Chris? Chris Taylor: I’m doing great Liam. Thanks very much. Liam Hardy: Your company are looking pretty strong at the moment, share price is booming, could you tell us a bit about yourself and the company? Chris Taylor: Well, by background, I’m an exploration geologist, I’ve done a lot of work in advanced stage projects that have gone into production with some of my past staffs from mid-tier producer experience. We’ve got our company Great Bear resources, it’s a Canadian gold focused Explorer with projects in the Red Lake District of Ontario. Liam Hardy: Yeah. Which is a really busy district at the moment, there’s a lot of people around you and at Confederation Lake down the road. Can you tell us a bit about the history of that region? Chris Taylor: Well, the project that we’ve picked up, it’s called the Dixie property and it’s been the original discovery was back in the 1980’s by a tech resources. So many people will recognize that name, so they discard gold in an area that was not previously known to occur and the reason being the project doesn’t have very much bedrock exposure. So although we’re finding the same kind of high-grade gold mineralization and the same kind of rocks that you see gold produced in in the rest of the district, it was not found here during the original Gold Rush just because of the lack of exposed bedrock to be able to see the gold and so we followed up on Tech original discovery and lo and behold, we’re finding high-grade gold results that are very shallow, generally, less than a hundred meters is where we’ve explored so far and very similar to other major deposits in that district. Liam Hardy: So it sounds pretty good Chris, a lot of mining history and other companies operating in the area, are you looking at the same geology as the historic deposits in the region? Chris Taylor: Yeah. Similar geology, similar grades, similar thicknesses, some of the highlight results that we’ve come up with recently both gold wise and geologically would be I will say ten meters of sixteen grams, you know sixteen meters of twenty-six grams, seven meters of sixty-eight grams and about a couple of meters of about a hundred grams and those would all be from different zones that we’ve discovered and geologically. Yeah, many of the same rock types that hosts gold elsewhere in the district, we have these mafic sequences, these ultramafic units that we’ve recently discovered and the same kind of big regional fold structures in the greenstone belts that localized the gold mineralization for instance at the Maine Red Lake gold mine, which is operated by Gold Corp and it’s produced somewhere in the neighborhood of about twenty million ounces. Liam Hardy: Yeah. The greenstone belts, you’re looking in a famous worldwide in West Africa, Australia and all across Canada for producing high quantities of gold but it’s not always easy to pick out, what techniques you use in trying to find your deposit? Chris Taylor: Well, mainly, drilling. So there is physical work that we did, there’s historical geophysical data that we inherited and then we did a high-resolution airborne magnetic survey, really for the first time on the property and that showed some very significant regional geological contacts that hosts the gold, some of those are over ten kilometers long as we’ve been drilling along about so far about two and a half, 2.3 kilometers of one of those contacts and we’ve been hitting gold and while all the drilling that we’ve done so far and what we’re discovering is a number of different zones that are controlled by different geological context, they all host high-grade gold mineralization and it’s certainly a pattern that we’re seeing across several kilometers of strike lengths at this point. Liam Hardy: Yes. So looking at your team, your variability of heavy geology focused, I’ve noticed the whole team has a geology background, do you find that helping you or? Chris Taylor: Yeah. We basically put together, if you look at the comprehensive team, it’s even more on the geology and discovery side because you know you have myself who’s the structural geologist and an exploration geologist. I’ve got my partner Bob Singh, he’s an exploration geologist, I think this is his eighteenth year in the Red Lake mining camp, working there and then we’ve got four geologists that previously worked for the main mine there was gold corp, so you know collectively we did the maths the other day and just in Red Lake focused drill experience, we had over a hundred and ten years collectively within the team and that’s really probably your dominant reason why we’re getting such a good discovery, a track record here on the property is because the people that are working on it have seen this before, they’ve seen the same type of gold mineralization, the same type of context that controlled gold, the same alteration features and obviously, the same high-grade gold results at other projects in the district where they’ve spent so many years. Liam Hardy: Yeah. It seems to be a good recipe for success to build a team from the geology upwards, not many companies do that these days. Chris Taylor: Yeah. Well, it’s a privilege and certainly were privileged to work with good quality people, it’s definitely added a lot of value for our shareholders, they benefit from that experience. Liam Hardy: So the company have just raised quite a bit of cash to continue drilling, what do you plan to do with that? Chris Taylor: Well, we are embarked on about a thirty thousand meter, a hundred and fifty drill hole program now, so we should be drilling continuously from now through 2019 and that will generate about a hundred and fifty drill holes. So I guess by about this time next year, we’d be looking at about sixty-five to seventy thousand, well, sixty-five, yeah, but that’s sixty-five to seventy thousand meters of drilling in total on the property and probably somewhere in the neighborhood of three hundred and fifty possibly four hundred drill holes completed by that time. So that should give us a good idea of the scope, of the gold bearing system, which really were just scratching the surface on it and the number of gold zones that are that are hosted on the project. Liam Hardy: It’s a pretty strong drill season, how is drilling in the region, is the access good? Chris Taylor: Oh, yeah, our project Dixie is literally right off the side of the highway or another way to look at it, is that the highway to town, which is the main paved all-season, all-weather highway runs through the northern part of our claims, so I think our drill site now is about two or three kilometers off the road and it’s effectively the project is a big clear-cut, there’s a logging company that’s active in the area, so all the trees are being stripped off and you end up with a bunch of logging roads that give access all over it. So it’s been very convenient and cost-effective to work on as well, so for instance that thirty-thousand-meter program that we’re doing now, we’re anticipating the all-in cost, like drilling staff costs everything else, us saying will probably come to about five to five and a half million dollars. So with our recent financing, I think we’re sitting right now with about fifteen million dollars in the bank. So we should still be probably in the neighborhood of about ten million dollars when we finish the current program on hand, you know by this point next year. Liam Hardy: It’s a pretty good cost for a project in Ontario, it can be quite difficult and expensive there sometimes. Chris Taylor: Yeah. It’s about a hundred and seventy dollars a meter for everything, so that’s very cost effective, that’s because the drillers live in town, they live in Red Lake and we end up benefiting from that. Now everybody’s happy, they’re home with their families at night and it’s about a fifteen-minute drive from downtown to our drill site. Liam Hardy:So nobody’s stuck in traffic, nobody’s waiting around. Liam Hardy: So you’ve got a strong drill campaign, good contacts in the community, good connections around you, when you finish this campaign, where are you looking to push the project long term? Chris Taylor: Well, we’ll have to see how big the gold system really is, I mean obviously, if we keep finding new gold zones, the way we have been, we’re going to need to do more work after that and that’s why we raised more money than we needed for the immediate program, we wanted to have the ability to immediately follow up on new discoveries, you know lately, we’ve generated that kind of three consecutive back to back to back high-grade gold discoveries, the Dixie limb, the Hin stone and the South limb zone and I expect when we start drilling these new targets that we’ve now defined, you know we would expect to find additional zones as well. So long-term plans would be certainly you know over the long term, you would you would like to show really the scope of the system, which I don’t think is understood at this point, we know it’s big but we don’t know how big and then obviously once we determine how many zones we have and the state of the data, like the density of drilling in the future, we’d be looking at a resource construction, we’re just not there yet because it’s too new of a discovery we need to figure out what we’re working with first before we start sinking dense drill grids into all these various targets. Liam Hardy: Two new and potentially too big to put a number on it yet? Chris Taylor: Yeah. At the moment, it’s a brand new discovery or it’s actually a trio of brand new discoveries, so it’s going to take us some time to figure out how many of these zones that we’re actually dealing with, we just came out for instance with our latest news release with several additional targets over kilometers of strike links. So it’s not feasible to drill that all off in you know at resource level of drilling, you know in a year, there’s just too much of a system there to fully explore within that time and so it’s going to take us, I would imagine at this rate if we drill aggressively, it’ll take us a couple of years to figure out exactly how much we’re dealing with, the benefit to our shareholders is that we’re dealing with a growing system and new gold results that are going to be issued steadily during that time. So with our recent track record, we’d be looking at putting out results every couple weeks or every few weeks, so probably even over the short term here, we would close down the current placement and then we would talk about issuing follow up results as they just continue to come in, It’ll be a steady process. Liam Hardy: Yeah. It’s a good way to do it long term. So you’ve been on the road for, I think you said about five weeks recently, is that right? Chris Taylor: Yeah. I’m continuing to get the message out, I’ve been in a number of different cities and I’ll even be headed to… I think I’m in Switzerland next week, so I’ll be in Zurich for a while. Liam Hardy: Yeah. Well, when your next major conferences you’ll be at, if people want to catch up with you? Chris Taylor: I think that’s next week, I’ll be in Switzerland, I’m home for a week, I have a series of meetings set up for early November and then I believe I’m in Frankfurt and I’m in London, I’m headed to Belgium after that as well, the week after that. So quite a bit of travel as we introduce the company across good portions of the world here. Liam Hardy: I’d say those are the three best places in Europe to get the best beer as well. So you’ve picked well. Chris Taylor: Yeah. Thanks very much. Liam Hardy: Yeah. So thank you very much for your time Chris, it’s looking good for Great Bear and we look forward to hearing more. Chris Taylor: Thanks Liam, appreciate it. Liam Hardy: Cheers. Have a great day. Thank you. So thanks to Chris Taylor CEO of Great Bear resources, if you’d like to know more about Great Bear, you can check out greatbearresources.ca. If you’d like to hear any more from us, we’re going to be at the mines and money conference in London next month as well as the 121 meeting and Mining Investment London. So you can catch up with our booths there and say hello. We’ll be recording interviews and publishing as much content as we can to keep you up to date with the events there. Thanks for stopping by and I’m sure we’ll speak again, G’day. Transcription of the podcast was completed by our friend Sara Kurt. Follow this link if you have anything to be transcribed. Podcast audio and transcription © Spotlight Mining Content may not be reproduced without written permission from Spotlight Mining – tREEsources Consulting Ltd. Spotlight Mining hosts a variety of articles from a range of sources, our content, while interesting, should not be considered as formal financial advice. Always seek professional guidance and consult a range of sources before investing.